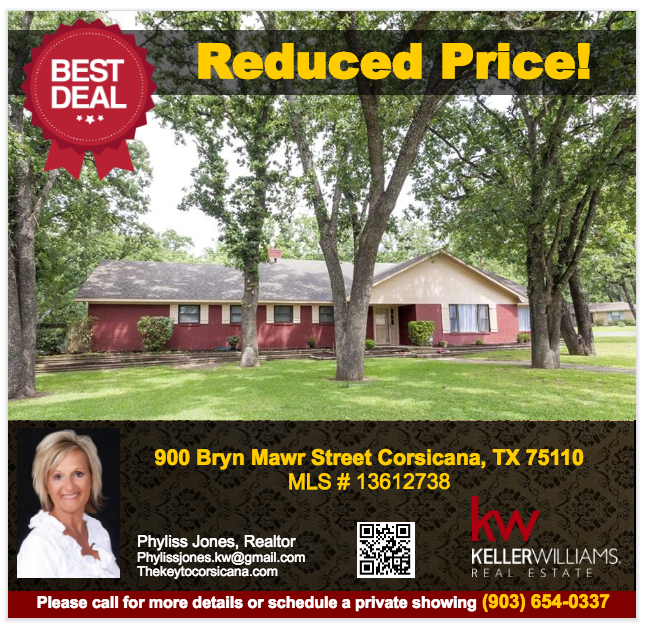 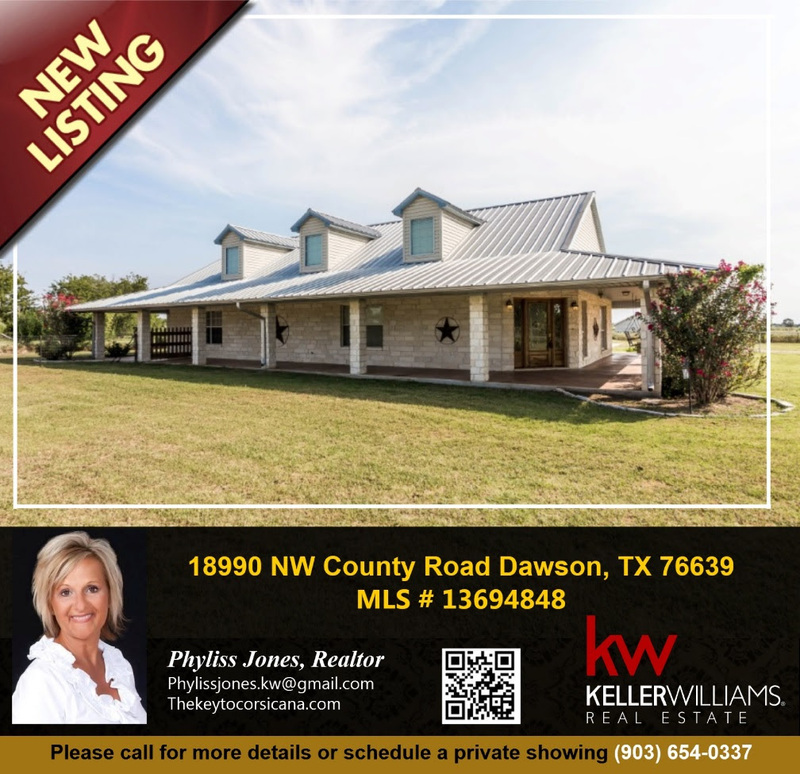 Own this wonderful home in Corsicana! 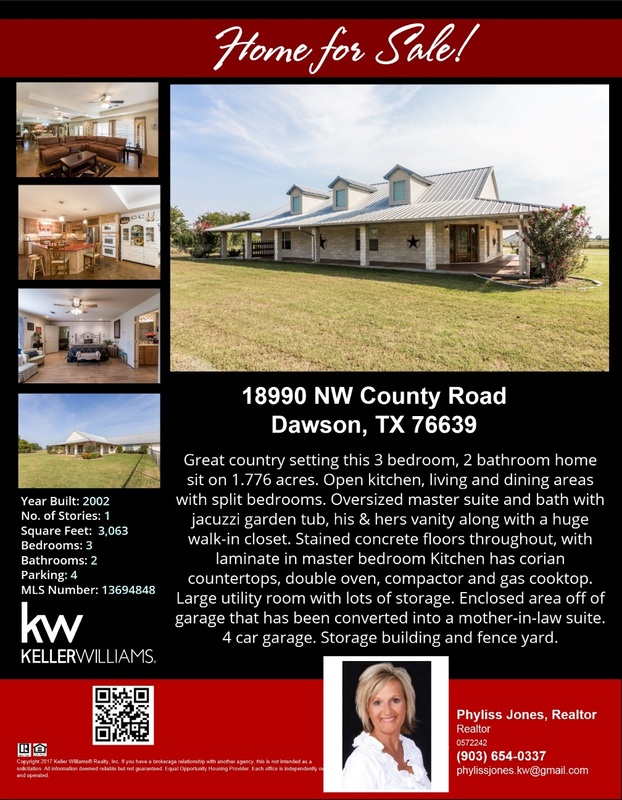 for more info. 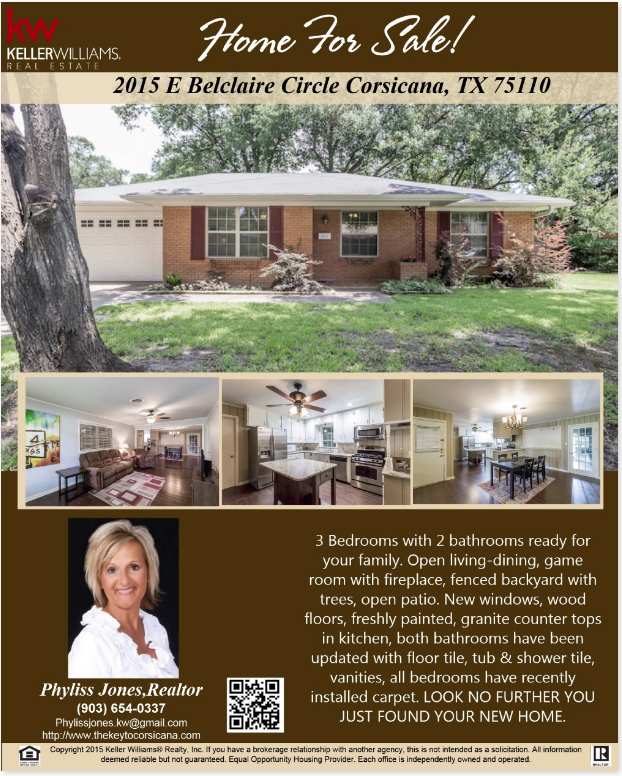 please call me Phyliss Jones, Realtor (903) 654-0337.